In the quest to attract high-school students to your post-secondary institution, your marketing department needs to use strategies that resonate with Generation Z. One of the ways you can do that is by tapping into your alumni network. where are your alumni online? LinkedIn is an excellent social media site for seeing not only who is in your school’s alumni network, but who is actively engaging in their employment community. The site can also give you a good idea of what kinds of work alumni are currently doing and where in the world their careers have taken them. These alumni can offer excellent examples of how your post-secondary institution can shape students’ whole lives. But while LinkedIn is a network where many alumni are active, it’s not where high-school students spend their time. As we’ve mentioned previously, your target audience spends most of its time on Snapchat and Instagram. Search out alumni who are active on these networks, too. 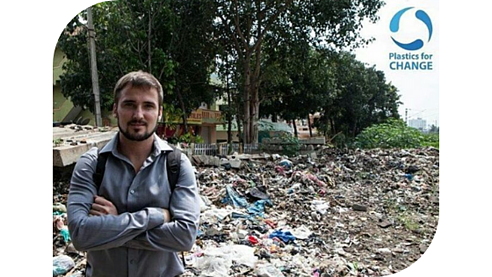 This photo above shows Bishop's University alumnus, Andrew Almack, who currently is a world traveler with his company Plastics for Change. He regularly posts updates on his Instagram account. While the alumni actively engaging on Snapchat and Instagram will tend to be younger and much less established in their careers, they’re closer in age to Gen Z. Their social media presence is also more likely to reflect Gen Zs. Some of these Snapchat- and Instagram-savvy alumni may even be active influencers with high numbers of followers. This sort of strength could help a lot in your alumni marketing campaign. how do you get your alumni involved? 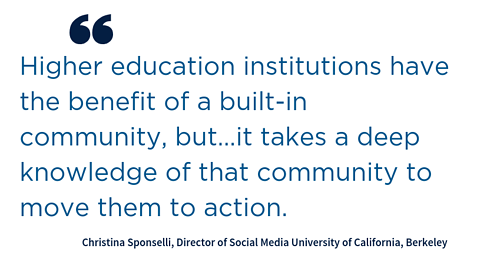 “Higher education institutions have the benefit of a built-in community, but…it takes a deep knowledge of that community to move them to action.” – Christina Sponselli, Director of Social Media University of California, Berkeley. To get your alumni involved in an advertising campaign, your marketing department will need to coordinate with your school’s alumni relations department. Their team has the expertise to engage with former students and find the ways to motivate them. In enlisting alumni, “community” is a major theme to invoke. It’s also a theme prospective students will respond to. High-school students want to feel like they’ll join the ranks of purpose-driven people, pursuing similar goals. Alumni want to guide students looking to pursue the same vocation. Selling alumni on the opportunity to connect with interested students and develop this community is essential to developing an effective alumni campaign. It’s also important to appeal to the different drives underlying every major. Business majors will have different goals than sociology majors. Political science majors will respond to different messages than physics majors. Work with individual departments to develop marketing strategies that will guide your alumni interactions. what types of messages should alumni promote? 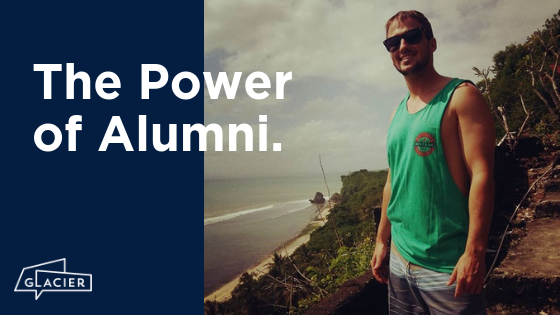 The benefit of working with alumni is that they have deeply personal stories to share. Generation Z craves exactly these kinds of relevant, authentic messages. After receiving guidance from their alma mater’s marketing department, alumni should be encouraged to be as “themselves” as possible. But there is a caveat. Some of your alumni – particularly those quite a bit older than Gen Z – might not be familiar with how to use Snapchat and Instagram effectively. You don’t want them to give off a “How do you do, fellow kids?” vibe and tank their credibility (along with your school’s reputation). It’s your marketing department’s job to ensure they’re familiar with the appropriate social media, so they can engage with Generation Z in valuable ways.  Reach out to Glacier today and discover how you can enlist your alumni network to attract new students.